Chipped nails are the bane of my life. They are not a good look one ANYONE and even if I was bed bound for a week I'm sure I would STILL somehow find a way to chip mine. So, baring this in mind, I probably end up painting my nails at least once a week to make sure they are looking neat and tidy. 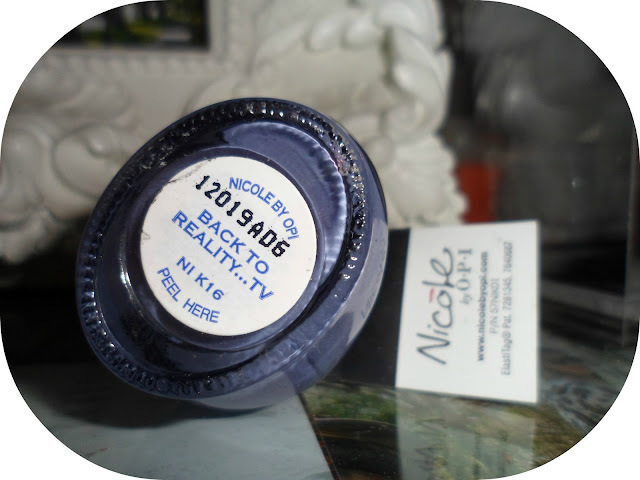 Today I've settled on a colour that I have actually only worn a couple of times before, even though I've owned it for over a year now and it is the Nicole by O.P.I. Kardashian Kolor in "Back To Reality...TV". I own a few of the 'Kardashian Kolors' and all the colours are really unique and as aswell as the amazing end result I am also obsessed with the names of them, they are really cool and quirky and normally a play on words. (another easy selling point when it comes to attracting me to products). I actually purchased this whilst in America but as far as I am aware they are available in the UK aswell. This is a pretty lilac colour with a slight pink iridescent shine to it and is described as a "pretty little periwinkle". This polish is perfect for spring/summer. I like the fact is has the slight shimmer to it as it makes it different to alot of the other lilac and pastel colours that are out on the market. 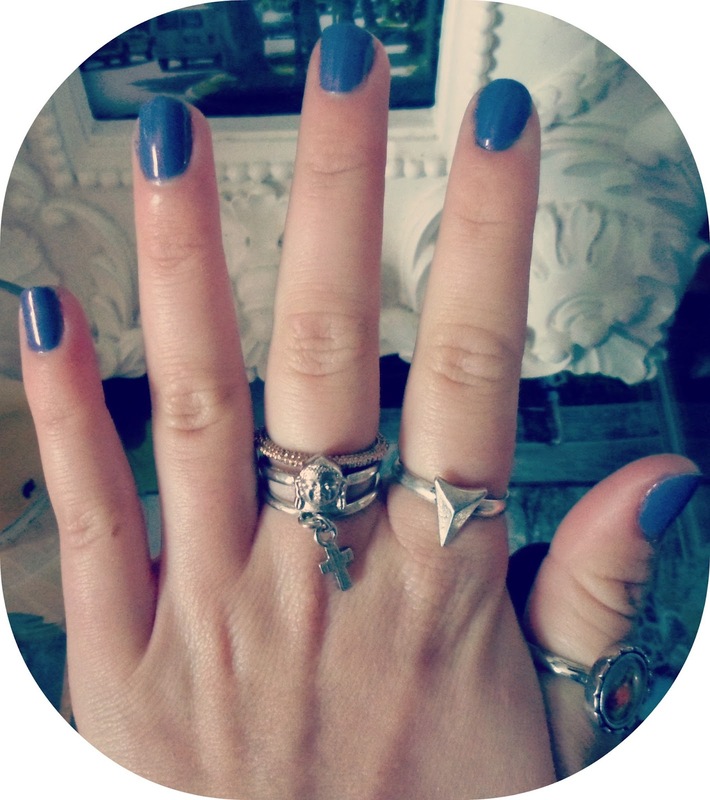 I love this nail polish and am always a fan of the colours and collections that O.P.I. bring out. The only thing I would say with this particular polish is that it does need a good few coats to get a good opaque colour as there's nothing worse than a watering thin coat of nail varnish. What a great colour and an even better review! I love your rings hehehe. Ooh thats a great nail colour and an even better name! Then again the kardashians have a lot inspiration from their dramatic life! Thank you for sending me your link on twitter!